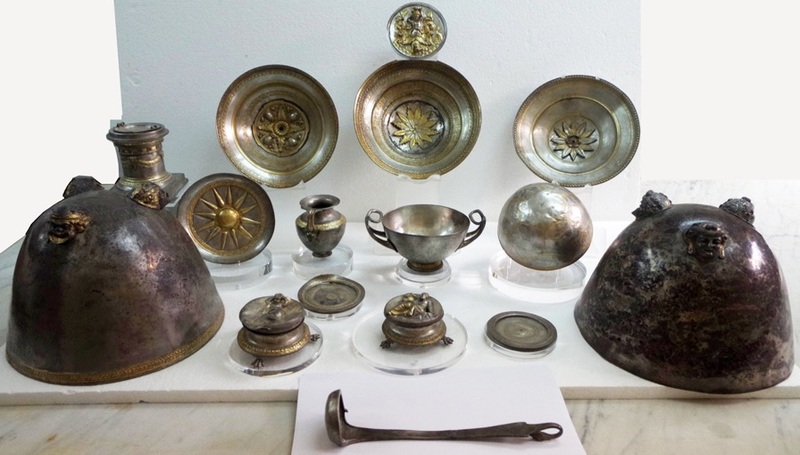 A set of 16 pieces of Hellenistic silverware with details in gold, the Morgantina treasure is part of the priceless heritage of Sicilian culture, dating from the 3rd century B.C. The trove is believed to have been excavated clandestinely at the site of the ancient settlement of Morgantina in central Sicily near the modern town of Aidone somewhere between 1978 (the year a modern coin, found buried at the most likely site of the find, was minted) and 1981 (the year New York’s Metropolitan Museum of Art acquired the first installment of the collection). In 2010, the Morgantina treasure was repatriated and is now on display at the Archaeological Museum of Aidone. The larger part of the collection consists of nine pieces of dishware of different size, probably intended for symposia, as the ancient Greek called their drinking parties. Another four items, including a cylindrical altar, were most likely used for religious ceremonies. 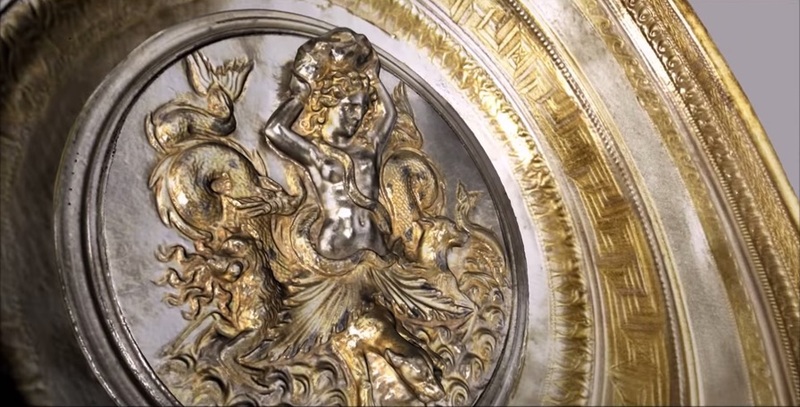 A medallion with a representation of Scylla and a pair of bovine horns complete the collection. In an effort to preserve the Morgantina treasure for posterity and facilitate its study by international researchers, the Aidone Museum, the Regional Ministry of Culture and Sicilian Identity and the Polytechnic School of the University of Palermo set out to create a digital repository of the finds. 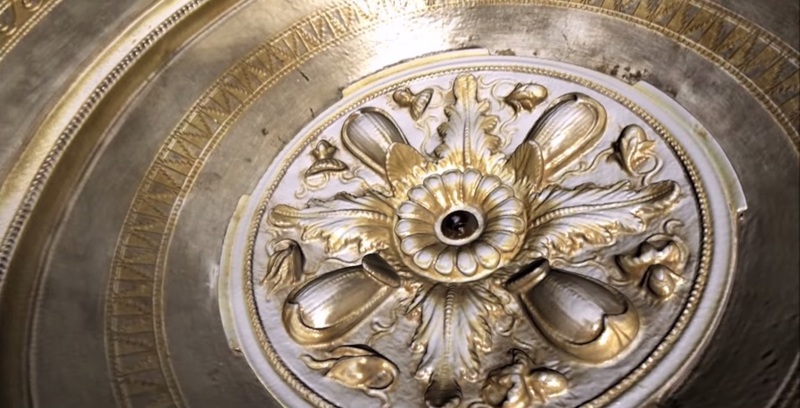 Due to the fact that most of the items feature elaborate decorative elements and shiny and reflective surfaces, it was essential to choose the right hardware and software that would capture data with high accuracy and without losing any detail, and so it was decided to use the Artec Spider 3D scanner and Artec Studio software. A non-invasive and non-destructive structured light scanning solution, Spider projected light on an object to acquire the points that make up its surface in real time, and Artec Studio returned a digital 3D model with a high degree of geometric correspondence to the object. 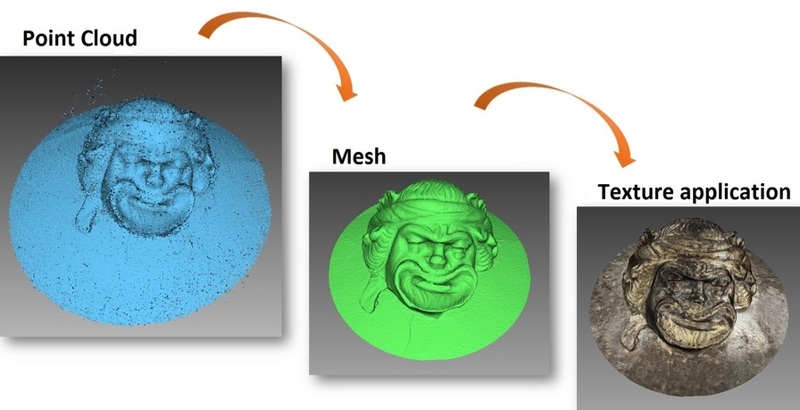 The 3D model was then exported to post-processing software Leios, which has a variety of semi-automatic editing tools that take into account surface geometry, notably curvature, adjacent edges, the density of the polygonal mesh, etc. 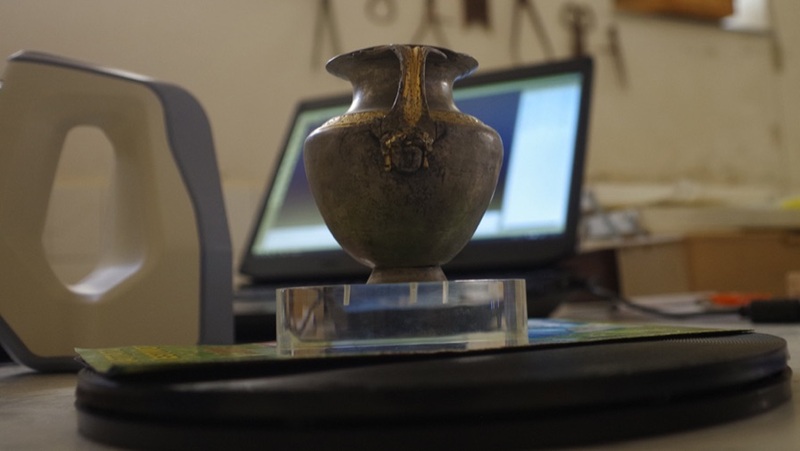 The resulting 3D models appear very true to life and are planned to be used by the Museum of Aidone for musealization purposes when the collection is exhibited at other venues.